Over the last several months the local news has been covering the lack of infection control at several large health care facilities. One resulting in numerous deaths and the others just now getting investigated. Being as infection control is one of my strong points let’s do a quick review. History … Boring to most but we learn from it. The first infection control seminar I produced featured Dr. Robert Runnels from the University of Utah. Dr. Runnels was the developer of the Chemclave, a chemical vapor sterilizer. Without a doubt it was the best form of sterilization available to dentistry but not practical. Dr. Runnels spoke about the need to continually improve your infection control protocol because bacteria and viruses continue to evolve. Today we are fighting things that didn’t exist when Dr. Runnels spoke 30 years ago.. They Didn’t Exist … Politics aside, people, animals and plants can move globally with more ease than in anytime in history. The recent outbreak of measles in New Jersey was spawned by a visit to Israel. A flu outbreak in New York City can easily start a pandemic after a jumbo jet plane ride to London or Paris. Medical science is at constant war but now we have super bugs. Up graded protocol is needed. Lets look at what most offices do and what they should. You don’t know what you don’t know. Face Masks … Did you ever wonder why some face masks sell for $15.00/box and others for $3.95? There is a difference in the filtration and how long the mask is effective. A top quality face mask loses most of its filtration ability after 45 minutes. After 60 minutes it is just keeping out dust. The lesser quality brands are good for about 20 minutes but unfortunately most people don’t know that, it’s all about price. The CDC recommends Level 3 face masks. Gloves … Nitrile is a CDC suggestion due to the fact that 10% of the population has some form of latex allergy, that’s one out of every 10 patients that walk into your office. Just like masks, a $2.95 box of gloves can not be compared to a $9.99 box. Where are gloves made? Economy gloves have microscopic pin holes. Microbes can enter through those pin holes plus the glove may tear easily. Autoclave Pouches … If a pouch with a color strip turns color it does NOT indicate sterile. Lower quality pouches will not maintain a sterile environment as long as a quality pouch. Think about it, during the dry cycle moisture escapes so if vapor can exit it can also enter. The pouch is just a barrier that will wear-out sitting in a draw. Disinfectants … There are a lot of them to choose from. The key to surface disinfectants is how they are used. Wipes are the most popular but maybe not the best. For proper disinfecting the liquid should be allowed to dry on the surface, spray bottles and paper towels do a better job. However, wipes are faster and speed up turn-around time. Also, using wipes will not expel as much vapor in the air which is not only a health concern but can also damage dental equipment. I guess it’s a trade-off. Summery … The average dental office cannot maintain a sterile environment like an operating room, it can only attempt to control the transfer of bacteria and viruses with procedure and protocol. Masks, gloves, and barriers should be changed every time you leave the operatory. An annual infection control review is as important as OSHA & HIPAA training. For my clients I provide a free one our lunch & learn review with CE’s. Please free to contact me at any time with any questions or concerns. 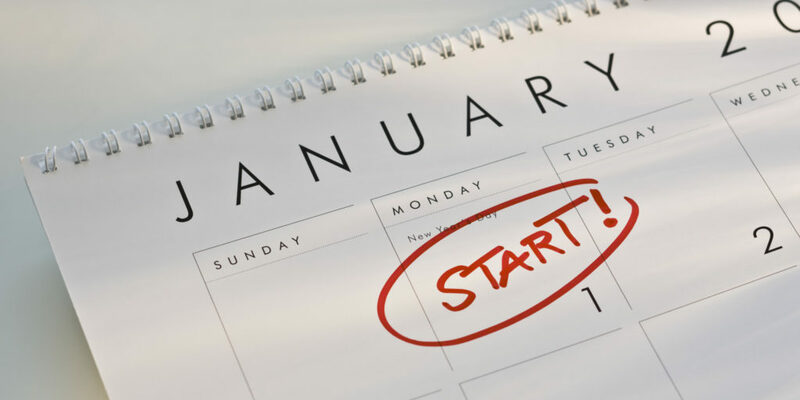 Closing out a year of business is like approaching the finish line in a race or scoring a goal. Most of the NJ/NY dental healthcare community has finished up. Now take a deep breath because January 1st it starts all over again. This is the time when we look back on the past year and reevaluate procedure and protocol. It’s time to take ownership of all the successes and failures as an organization and fix the things that don’t work while enhancing the ones that do. Let’s start with the single most important asset, the team. The Team … In this ever evolving healthcare market an investment in personnel and infrastructure is absolutely necessary. When I walk into a dental practice and hear an owner or manager say “we just can’t find good help” or “I can’t find a good assistant” I know they don’t understand team management. Team members are not there to “help” or “assist” you, they are there to support their own lives. A team leader’s job is to get everyone to do what they don’t want to do and enjoy doing it, that is not easy. The best way to accomplish this is to “Show them the Money”. Show Them the Money … Let’s face it, pay peanuts & get monkeys. But, you can’t keep giving raises for two main reasons. First, you can’t afford it and second, it is not healthy for the team. 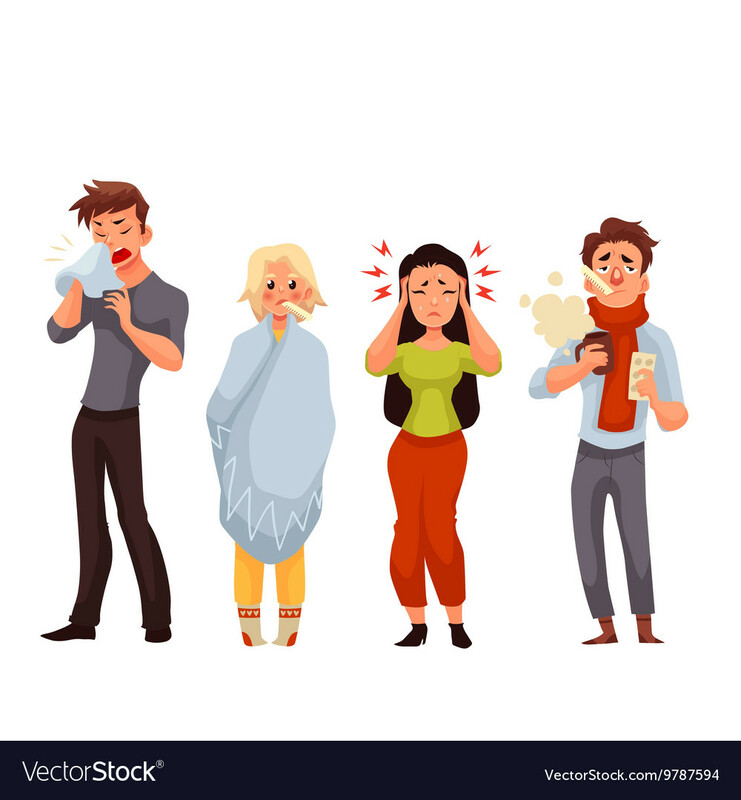 If you continue to give raises you will eventually price your team out of the market and when the day comes that you can’t give anymore dysfunction begins. If you want people to help you make money, you have to let them make money. So, why not give them the opportunity to put some skin in the game. Put Some Skin in the Game … Every growing business needs quality team members and programs to keep them happy and loyal. Bonus based on production is the most popular because it is a transparent and can be set-up on a quarterly basis. These programs almost always have a positive effect on the bottom line. There may be several revenue generating projects you have such as Sleep Medicine, Clear Aligners, Internal Marketing, etc. Have one separate team members focus on each and production will grow. Project leaders will also feel good about their successes. The real golden handcuffs that retain quality personnel are added benefits. Golden Handcuffs … The unseen value that the millennial workforce is looking for. Healthcare and 401k plans are important for a smooth functioning team. I see practices everyday that offer benefits and others that don’t and there is a difference. Top line talent want a career with opportunities. Years ago I was offered a great position with a well respected company and I turned it down. The reason was that I didn’t see any younger management being offered long term opportunity and that limited company growth. Trained talent moved on to competitors for a better package. The Package … The package is everything. When you combine a competitive wage with benefits and bonus on production that is tied to a 401k you are not only showing your team you are investing in them, but you are asking them to be part of the future. Now you have a team that has a reason to preform and be accountable for their failures and successes. Now it is time to lead. Team Leader … You must be involved with every phases of your practice. You don’t have to know how to do everything but you do know what to expect from a good team. You would not believe the complaints I hear from dental team members in 90% of the offices I walk into. Then I hear the concerns of the practice owner (s). Most organization have the same problems but only a few address the issues. Your team is your most important investment. Their success is yours. MBWA! What is MBWA? … Back in the 1980’s the acronym was coined by IBM, it stood for “Management by Walking Around”. The concept was to get management to interact with their team by getting up from their desk and walking around and asking if anyone needed any help with anything or if they had any ideas or suggestions. Several years later Disney picked it up and renamed it “Management by Wondering Around”, I like that one better. Management by Wandering Around … Disney’s reasoning for changing the word was simple and effective. Team members (especially lower level) will be reluctant to voice any problems to superiors, it’s human nature. But when you “Wander” you are walking slow with your hands in your pockets, you are now “Approachable”. I did it, it works!! How do you approach your team? Approach Your Team … The key to beginning any negotiation is to understand what the other side of the table wants. You may not agree with it but you have to understand their reasons. Most practicing dentists do not understand the day by day issues and frustrations that team members deal with. Sit in the chair and see what the job is all about. In American Football your team would be playing on both sides of the ball, often at the same time. Try the front desk for one week! The Front Desk … Dealing with patients wouldn’t be that hard if it wasn’t piled on top of scheduling, collections, re-care, insurance companies, email requests, and the clinical team. In smaller offices that person may also be involved with treatment planning. With a daily plate full of problem solving issues it is reasonable to assume that some things will slip between the cracks. And then you want to know why they couldn’t fill the schedule. Try asking your front desk what is the one thing that would make their job easier and explore the suggestion, you may be surprised at the end results. You just wondered into their world and the moral will instantly rise and productivity will improve as long as you follow through. Now what about your assistant? The Dental Assistant … Did you know that your patients ask your assistant for their opinion when you walk out of the room? Patients even ask if you are good at what you do. You are a dentist and that means you are creative and artistic, you enjoy reconstructing the oral cavity. Your assistant gets to listen to the patients complain, the doc complain, the Hygienist complain, and then clean up the mess. Look at what they have to do between patients while following all regulations. Anything that would help speed up the room turn around time is worth looking at. What is your turn-around work flow? What would make the job faster and easier? Wonder into their world and grow your practice by wondering outside your comfort zone. The Comfort Zone … If it works don’t fix it. That is so true when it comes to your equipment, but your practice flow and team harmony are what the patient sees and feels when they are in the office. Team harmony and moral must be an everyday concern. Team discovery meetings are always available free of charge and please feel free to contact me at any time with any questions or concerns. Dental impression scanners are soon to be thought of as standard office equipment. Digital imaging can save money by speeding up process time in every facet of healthcare from chair time to insurance processing. The more you engage in digital technology the more access you will have to increased cash flow. Shopping for a dental impression scanner is like shopping for a new car, and they cost about the same. But, when was the last time your car saved you chair time or helped you increase production and cash flow? So, let’s talk scanners. Talking impression scanners … There are so many coming to the market it is confusing which system is best for your practice. Because there are so many I am only using 4 brands as a sample review. First you have to have an idea of where you want to go with impression scanning. Do you plan on utilizing in office milling now or in the future or do you want to transmit data to your lab. Another consideration is how the Scanner software integrates with your practice management system as well as your diagnostic network. True Definition Scanner (3M) Exhibit Booth #4019 … This is the perfect entry level scanner. It is simple & very portable but only displays in black & white. The video image capture technology is standard video with no bells and whistles and that keeps the price in the lower range. The system is an open platform and will communicate with most labs and in office mills. Images are accepted for Invisalign. Emerald Scanner (Planmeca) Exhibit Booth #5425 … Originally developed by D4D Technologies this scanner is the enhanced version on the E4D system. It is an excellent choice for a full use scanner & mill. The design programs are comprehensive and accurate with constant up-dates to performance and features. The camera is small and ergonomically designed for easy access to the oral cavity. Planmeca has been offering impression scanning and milling for over a decade and incorporates an open platform. Trios Scanner (3Shape) Exhibit Booth #2626 … The Trios System is the most popular dental impression scanner on the market. The capture speed is super fast allowing the user to scan a full arch in less than 30 seconds in HD and true color. The Trios is actually 3 cameras in one. Aside from the superior scanning ability it incorporates an intraoral camera and a shade matching camera that links to the design program. The system will capture multiple shades within a tooth and all the data can be transmitted to any lab with an open platform. Although the Trios will work with most Mills it is more suited to interaction with your lab as the milling prosses is more complicated. Cerec Omnicam (Dentsply Sirona) Exhibit Booth #3409 … Young dentist graduating dental school this year were not born when Sirona developed the Cerec System. This is the Granddaddy of them all, the one that started the revolution. The small camera and the super fast scan is complimented by a comprehensive design program. If in-office milling and same day dentistry is in your future, this is the system to look at. 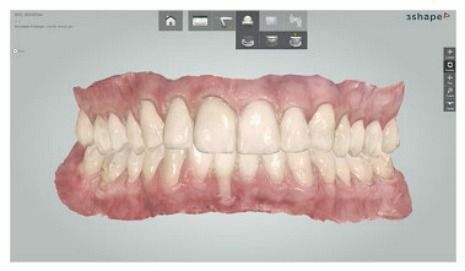 Although Cerec is a closed platform, design images can be converted to an STL file and sent to any digital lab. Cerec images are accepted by Invisalign and. Please feel free to contact me at any time with any questions or concerns. See you in New York! The Year is coming to an end and for most business 2019 investment plans are underway. Q4 usually brings along some great deals and a good amount of “Convention Specials” are available now. That’s why you have to sit back, do your due diligence, and plan your investments carefully. Through my 40 years in dentistry, here are some do’s and don’ts that I suggest. Dental Technology … Do listen to your friends and get “IN-Office” demonstrations … Don’t buy something because they did. This especially holds true for dental scanners and cameras. A dental office is a unique business. No two operate the same way and here in the northeast the patient demographic changes every 5 miles. When planning the purchase of a dental impression scanner there is a lot of behind the scene support that will determine what system will work best for your work flow. Also, how far do you want to take a scanner? Some work better with mills and integrate seamlessly with other technologies such as CBT, 3D Pinters, Management Software, etc. and all of that should be evaluated before any decisions are made. Do go to the shows and look at everything … Don’t buy it at the show and make sure to get you team involved. Do look at the financial end … Don’t buy from a seller that offers less than 3 options, remember your looking for what works best and integrates with your existing network and future plans … Do Support is a key factor. Dental Operatory Equipment … Like going to the car show, you want to slam the doors & kick the tires to see what lights you up. Do listen to your friends about the pro’s and con’s of what they have … Don’t decide on just their experience … Do ask a manufacturer representative about their ergonomics. Quality equipment is ergonomically designed for the professional to sit in a stool while treating a patient. 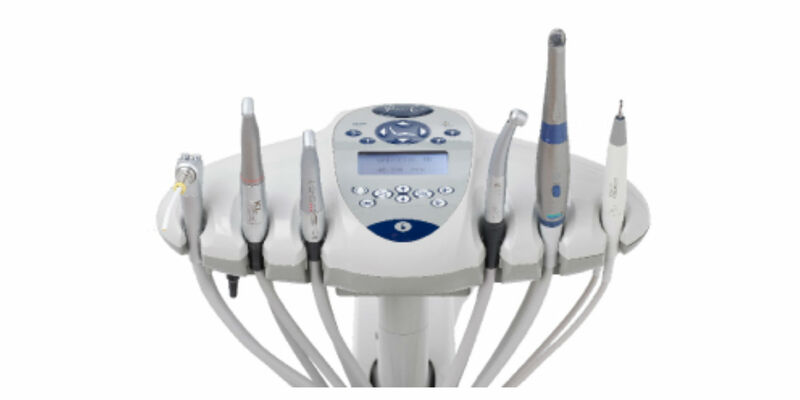 The ergonomic design of dental equipment is important to your health. Also, speak with dental equipment specialists that offer more than 5 different brands and multiple options. Small Equipment … IRS Sec. 179 works great when it comes time to replace Curing Lights, Handpieces, Intraoral Cameras, lasers, etc. But how do you choose what to buy? Don’t buy a year’s supply of composite just to get a free Light, it’s not free! Do look at the Light that is made by the manufacture of the composite you like. Don’t buy a Handpiece because of price, it is your #1 tool. Do demo quality Handpieces to see how they feel in your hand. Don’t buy an Intraoral Camera for the bells and whistles. Do think carefully if you will utilizes the options or just pay for them. Do make sure that all digital data will move smoothly throughout your network. Utilizing the resources of an equipment and IT team that has direct connections to multiple equipment and technology manufacturers is essential. Consumable Merchandise … Convention & Special are the 2 buzz words. Don’t buy a years supply of anything! 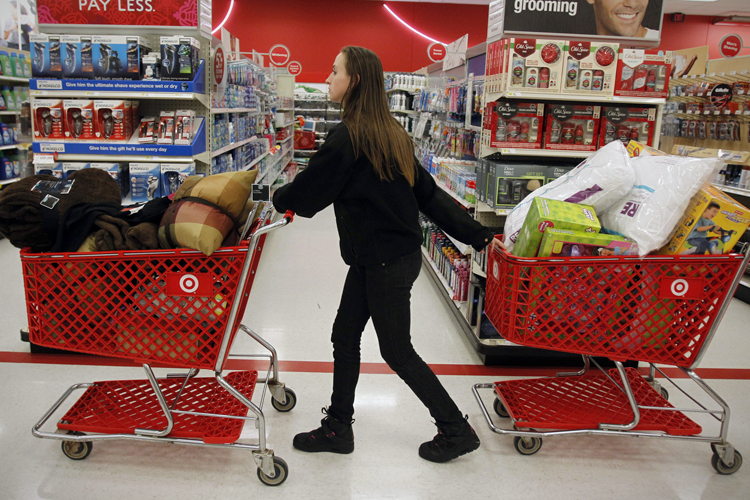 Why keep the money on the shelf and not in the bank? When something sits on your shelf for more than 30 days it starts to lose value. Do think about how long it will take to use up an item and free is not free. If it will sit for more than 90 days it better be a real good deal. Do have your team gather up all the expired items in your cabinets so you can estimate how much money you lost and gauge what to buy. Step #1 … Talk to your tax adviser about all year end investments. Step #2 … The Plan! 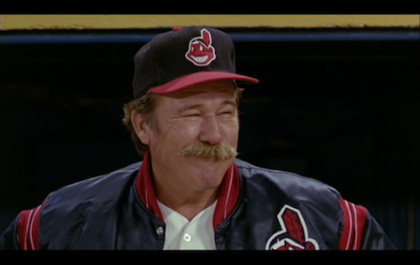 In the movie Major League Actor James Gammon, who played the team’s gravel-voiced manager Lou Brown explained the game of baseball in simple terms “you hit the ball, you catch the ball, you throw the ball”. Now we all know it is not that simple and your dental equipment is no different. It needs regular maintenance and some TLC. Broken down into “Lou Brown” terms it’s all about water and air. In a time when technology is all you hear about we tend to forget the basics, your dental equipment. The mechanicals you need to practice dentistry are often abused and get prematurely old due to lack of maintenance. Think about the “Panic Centers” and service them regularly. The Panic Centers … The dark places where nobody wants to go. Your air compressor and vacuum system are the keys to your clinical dentistry. They are not the brain of the operation, they are the heart. If either one goes down you can’t do much dentistry and Hygiene is completely shut down. That’s when you panic! Air Compressor … A dental air compressor is the heart of your practice and is specifically designed to deliver clean dry air. They are complex in design and have filters and purge valves that have to be cleaned annually. Oil-type compressors may need to have oil added or a complete oil change. Oil type compressors are not that common any more due to the oil vapor that that leaves a residue buildup on the walls of the airlines. Most offices take the compressor for granted but think about what you would lose if it went down in the middle of the day. It’s not that expensive (a few hundred dollars) to have a small spare commercial compressor standing by. Look at it like an emergency generator that you picked up at a home store. For the several hours or a day that it takes to get the main system up and running you will still in business. Vacuum Motors … There are all types of vacuum systems Do you know if you have a wet or dry pump. Vacuum systems work opposite from compressors, one is positive pressure and the other negative. Compressors turn on & off depending on air pressure but vacuums are high power motors that are designed to run continually for long periods of time. But again, filters, valves and the amalgam separator need to be serviced. Annual maintenance is strongly recommended and scheduling a service call whenever it is time to change the amalgam separator is a great opportunity. 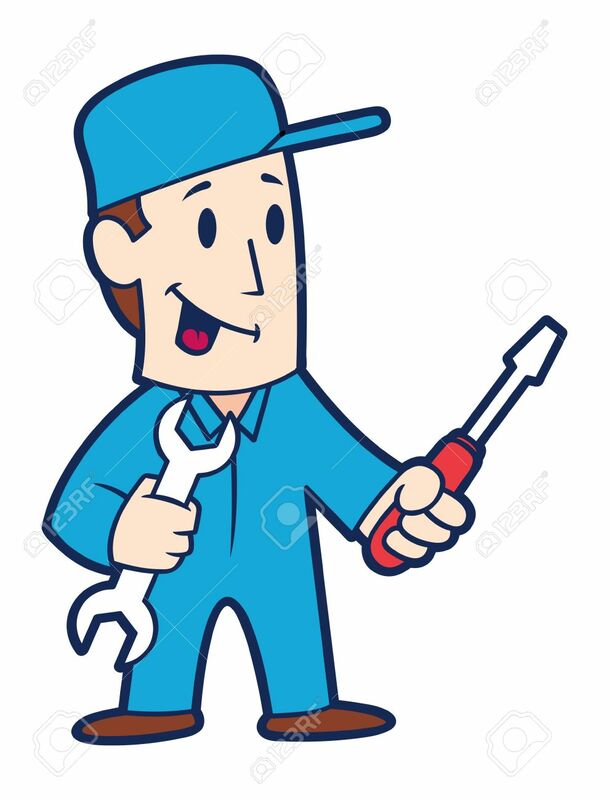 Maintenance Program … The easiest and most financially sensible thing to do is to schedule one day once a year to have all of your equipment serviced. In most cases its just a 1 to 2 hour service call but as Benjamin Franklin said “an once of prevention is worth a pound of cure”. You have practice management software and so does your service tech. Put it in the schedule when ever your amalgam separator needs to be changed. Get it all done at the same time and you will prolong the life and function of your equipment. Also, scheduling the time is under your control to avoid any clinical disruptions. Now what about practice Technology, it also needs maintenance. Technology … If it works, don’t fix it! That’s how most of us feel about our network. IT services are essential in today’s healthcare climate and it will only get more complex. Integration of multiple systems each with their own software will be an on-going expense and every time something new is added it will effect everything else. Everyone has their own IT person and in some cases that person, as a 3rd party, does not have the resources to stay on the bleeding edge. It is much less expensive if all of your technology works seamlessly with each other. It is also important to have 24 hour monitoring and offsite back-up. Everything leaving your office computers must be compliant and being as your data is being continually attacked you need protection. You want a dental certified IT Service provider. Integration of different technologies within the same network can be a disaster if not controlled correctly. What does it take to build something great? It take diligence, courage, and planning. Patient marketing is so important to maintain your active patient base and back load it with new patients. It all starts with name recognition and giving the customer (patient) more than they expect. Think about your current patient base, what generation do they represent? Baby Boomer’s or Generation Z? Generation Z … Anyone born between 1996 and 2010 are your target patient base for the next 10-15 years. They demand technology and options and you will need to exceed their expectations with practice building programs. 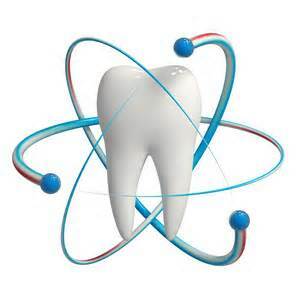 Total Heath … There are multiple systemic diagnostics that a dental health practice can employ at no cost to the patient. Will they cost a few dollars, probably, but the return on the investment is very high. Keeping everything in-house … Patients do not want to be sent to specialist they don’t know. But they would trust that same specialist if it was at your office. Security and confidence. Again, there may be some investment but that investment can be realized in just a few months. Think about what you send out and please let me know if you have any questions. Technology … This one stings a little because it requires effort and commitment as well as a larger financial investment. Think about the back end of your patient base. The 19-21 year old that’s coming in because their parents have been patients for 15 years. What do they understand? Gandhi once said “you are the language you speak”. I walk into offices that still have CTR style TV sets sitting on wall mounts. Great for 20 years ago! Now there has to be a flat screen that interacts with both entertainment and clinical videos. If the current market is Millennials and Generation Z you have to keep pace. What do they see? If it looks old then the quality of care must be old. A Lunch & Learn Marketing session, with CE’s may be available, call me. Obstructive Sleep Apnea … Been there, done that! That’s the first reply when I ask clients about the program. This is the most miss-understood practice builder, it costs nothing and can change the face of your practice. The problem is the providers expectations. This should not be thought of as a medical insurance provider procedure but more of a patient building tool. The program is simple and I would be happy to provide details on the 2-3 minute protocol. Care Credit … Sure it costs a few dollars, but it helps achieve a better cash flow and reduces receivables. The no-interest patient financing will also lead to more treatment plan acceptance. Speak to one of the Care Credit Representatives in the area or contact me at any time.